We spoke with Briana to help you get familiar with this group of tech changemakers, what they do, and how they are making an impact. I’ve always been interested in the public good, education’s impact on being a societal equalizer, and international development. I had the opportunity to bring App Camp For Girls to Vancouver in the summer of 2015. This opportunity further solidified that I had made the right decision in changing careers and co-founding my own tech company. During that time, I also met some amazing people who were also passionate about making a difference by promoting gender diversity in tech. I found that I could use my new position for good. At first, I felt many moments of “imposter syndrome” in being a part of the tech world. However, with my strong vision of impact, plus Ian’s support, I decided to turn all those feelings to promoting inclusion in my company. I am my own success story, and I want to bring out that same potential in others. We welcomed people who didn’t fit into those old stereotypical tech molds. We helped diverse people feel accepted, heard, encouraged in joining a tech company. 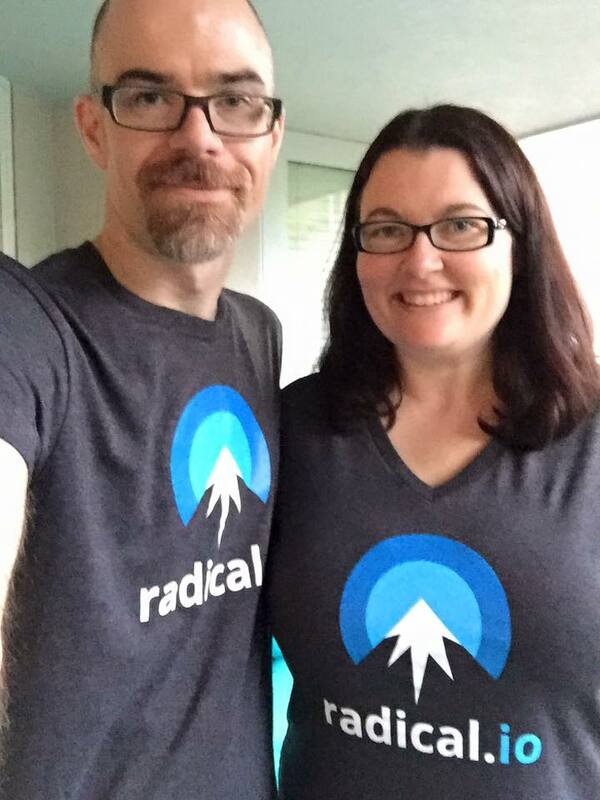 What are Radical’s core values? How do you cultivate them in the business? Radical I/O’s core values are: integrity, respect, acceptance, collaboration, honesty, empathy, positive impact. This comes through in day-to-day interactions within the team and clients, in how they communicate, act, write job postings, hold interviews and build relationships. Every chance we get, we ask ourselves, do our actions reflect who we are and what we say? We want to make people’s lives better with everything we do – whether that’s our team members, our clients, app users, or society at large. Without this vision of purpose, what we do would just feel like a “job”. We’re not interested in jobs and neither are our team members; instead we’re interested in being invested in what we do, in believing in what we do, in feeling proud of what we do. Our work, our company, our office should be a place of refuge, knowledge-building, excitement, trust, growth – it’s where people go to escape the stressors of their life and to feel valued and impactful. We love to design and develop technology with purpose. Either through helping social impact enterprises realize their vision through tech, or through the consulting and products we build that connect people together and help make their everyday lives easier. What are some of the main ways that you help clients? Should I build on top of my MVP or start again from scratch? Based on my business goals, should I create a Native vs. Mobile Web vs. Cross-Platform solution? Why is this so expensive? What’s at risk if I don’t do things right the first time? What makes you different from other development firms? We prioritize purpose over profit. For those Canadian companies concerned about privacy and where data is housed, we can keep deployments in Canada in the cloud or on-premise. We emphasize creating the right product/service the first time and being able to build on top of it over time as your product, features, and user base grows. Our Integrations and services are layer-oriented – we work to connect major systems together. Now that we’re more established, we’re able to choose the clients, projects, and apps we want to work on. It makes us and our team feel good to focus a large portion of our activities on companies and people we believe in and want to work with – people with like-minded values who want to change the world. It makes us feel good to help others realize their dream of impact! We are thoroughly impressed by the amount of support that Spring gives to their entrepreneurs. Trevor has attended multiple workshops and networking events through Spring, and has connected with hundreds of entrepreneurs in Vancouver. It’s extremely exciting meeting impact companies like Nada and iHeart, and to watch them grow under the mentorship of Spring and partners like us. 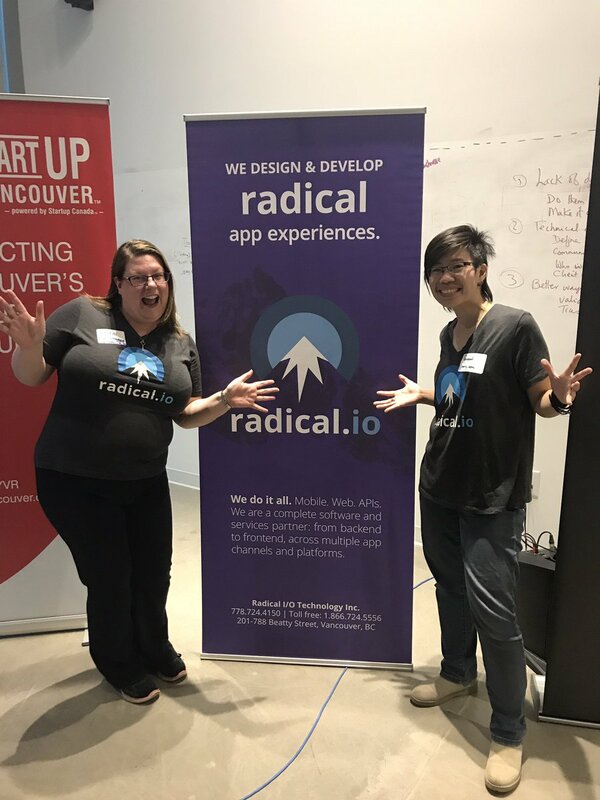 Are you interested in meeting Radical I/O and our other amazing partners? 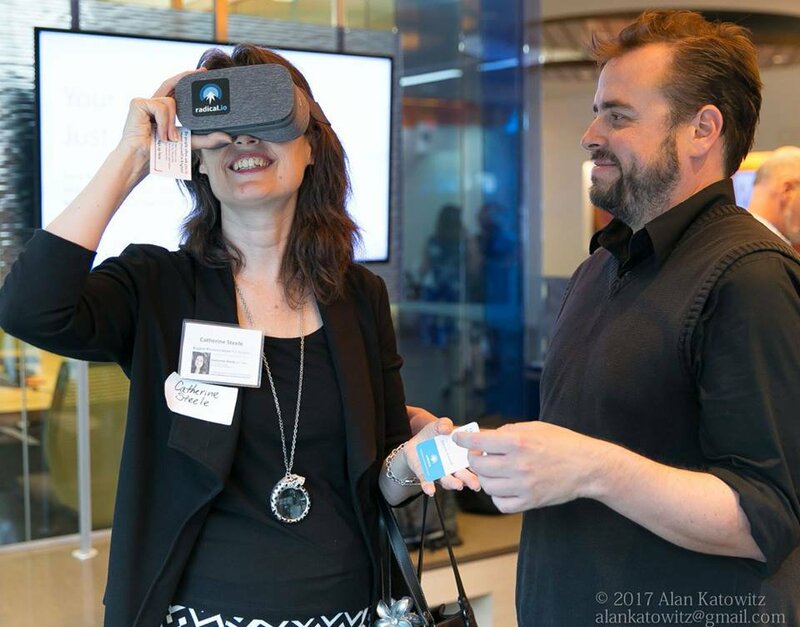 Click the button below for the latest startup workshops and networking events in Vancouver! Thank you Spring for your article on partnering with Radical I/O. I would like to connect with Radical I/O if possible. We at IITTI (pronounced “ET”) has built a standard measuring system for people skills, or soft skills. It allows companies around the world to improve their company culture on topics of empathy, resilience, and cultural awareness. We would like to see of Radical I/O can help in building some of our tech work.